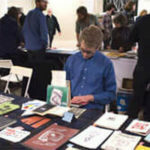 Like many self-published authors, you might be wondering if it’s worth paying substantial entry prices to book fairs and publishing trades. These events are certainly worth considering if you are serious about book promotion. Don’t worry—you don’t have to spend a fortune joining a fair because you can always submit your work to a book promotion services company that can give your title exposure in major events at a reasonable cost. Trade fairs are very important for self-published authors because these events are attended by the ‘who’s who’ of the publishing industry. Joining one is a fantastic way to put your work in front of thousands of people who matter. 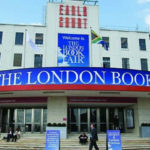 For example, the weeklong London Book Fair (done yearly) attracts over 25,000 publishing professionals. They come to this event to network, learn, and start off their year of business. Joining it can put you many steps ahead of other independent authors. 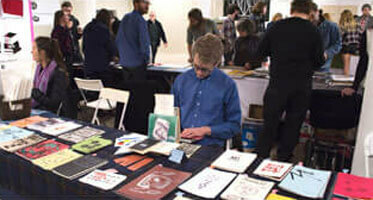 Fairs are not only great for book promotion. They also provide excellent opportunities to learn more about the publishing industry. A well-attended book fair is a great place to share ideas, gather intelligence, and explore key resources that can ultimately help you succeed as a self-published author in today’s ever-changing marketplace. Building a career as an author involves more than just mastering the skills needed to get your work written and published. You can’t stop at writing, editing, and designing cover art—you also have to learn about the business side of things in order to succeed. Being in a book fair lets you get a feel of how the industry truly works. It can teach you a lot about how to market, build your brand as an author, manage distribution channels, and even how to track revenue and sales. Some book fairs even provide seminars about all kinds of vital aspects of self-publishing. You can learn new developments in e-books, for example, or learn how to develop your author platform. The key to getting the best value from your investment in joining a book fair is to work with a book promotion company that can organize everything for you. Some of the best companies offering book promotion services go beyond just displaying your work—they can also arrange autograph sessions during the fair so that you can meet buyers and publishers in person. This is an excellent way to immerse yourself in the industry and earn much-needed contacts. It is also a wonderful method of building credibility in this competitive industry.